Anxiety and stress are sometimes the causes of stomach pain, indigestion, and lower abdominal aches. 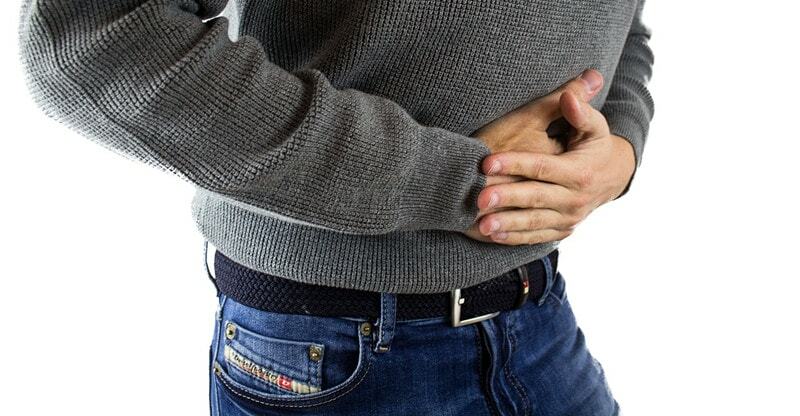 Anxiety can often block the body from food breakage and hence cause indigestion and nausea. When tension and stress become the reason for muscular pain, specifically pain in the lower left abdomen, the cure is just a few feet away. Did you know several yoga poses can help ease these pains in a few minutes? There are ways to release this stress and anxiety through pressure points in your feet going directly to the organs that aid digestion. When your stomach is begging for relief, an instant pain reliever can be as simple as heading to that yoga mat and doing some gentle but effective yoga poses, instead of reaching for antacids. Yoga helps increase vagal tone, which are the vagus nerves of our body that control the major bodily functions. Relaxing yoga techniques and breathing exercises help improve the vagal tone. A flowing yoga routine will contribute towards your nausea and discomfort, therefore, some floor based, calming postures may just be what your body needs for relief. Twists and similar yoga poses can help compress the colon and aid digestion. Here are some ways through which yoga can help relieve abdominal pains. To soothe the pain in the lower left abdomen, be it menstrual cramps or indigestion, a supine twist helps a great deal. To do a supine twist, you must lay on your back on a yoga mat; bend the knees with the feet planted firmly on the floor. Open your arms and reach out to the end sides on the floor. Lightly let your knees sway towards the right while you twist your head and upper body towards the left. Hold this pose for 30 seconds or even more if you want to. You can even use a pillow to support your bent knees. Repeat this in the opposite direction. Here’s a video depicting how you can do this twist. Try to open and stretch your stomach with a bridge pose instead of compressing it. The bridge pose can improve blood flow and stimulate the organs that are involved in digestion. Lie back on the floor with your knees bent, with arms along your hips and knees; widen the feet about hip-width apart. After this, press the back of your head on the floor along with your hands and lift your hips towards the ceiling. Keep rising until you feel the front of your hips, chest, and abdomen stretch a little. Hold the position for about 20 seconds or a minute and repeat it 2 or 3 times for effective results. Here’s how you can do the bridge pose. This yoga pose helps release energy that is blocked in the feet, enhancing the flow of energy and balance in the entire body. Once the knots in your feet dissipate, the pain in your stomach will also be relieved. Try to sit on your knees, bend your toes and rest your body on your heels with only the soles of your toes touching the floor. Now, try shifting your body weight forward by raising your knees from the floor. Put pressure on your toes; this may make your toes uncomfortable and ache a little, but it’s highly effective. The deep toe bend will be especially difficult for people who wear high heels. Notice where there is tenderness and apply more body weight there. Try to stay in that position for as long as you can. This particular pose opens up your spine and helps improve blood flow. It also helps massage the colon and fasten the digestion process. Start by getting into a comfortable seat that balances your shoulders and then place your palms on the caps of your knees. Inhale and tilt forward, bringing your hip bones forward. Arch your back in the process. Lift the chest upwards, engaging your abs while doing this. When exhaling, round your spine and move your hips back. Bring your chin towards your chest, dropping the neck down and contract your stomach; this will make you feel a stretch through your back and neck. Continue this process and movement for eight breaths. Here’s a video showing how to do the pose. This pose radiates the energy that starts with your sole. When you sit on your knees with the front side of your feet touching the floor, use your ankles to rise a bit and place your right foot on top of the middle part of the left foot. Find a spot on the top of your right foot where it’s bony and place it on the outer side of the left foot. Your right foot may suspend a little over your left foot while doing this step. Once you sit back on your heel and the right foot bone rests in its current position, you will have a sense of radiating pain all through your left foot; this may go up till the backside of your body as well. You can use the weight of your body, gently applying pressure on to the right heel and sending the weight of your body towards the ground. This step will release the feet tension linked to your gut or abdomen. You can experiment with the amount of pressure you apply. If you feel there is enough pressure being applied to the left acupressure point, stay in that position for as long as you can. Change sides and repeat the process. After the pose is complete, cross your legs and sit on the ground (sukhasana) and try to observe which part of your body feels different. This one is a relaxing pose and helps improve your parasympathetic condition. It helps massage your colon with thighs and hence improves digestion, easing any stomach or abdominal uneasiness. Begin with positioning yourself on your hands and knees. Start to bring your hands near your legs and lower your hips on your heels. Then slowly bring your chest to your thighs and place your forehead on the floor. After this, slowly bring your hand towards your feet with palms facing upwards. Keep your eyes closed and hold this position for eight breaths. Here is a visual representation of this pose.